As you may recall from the previous article in this series which was a review of The Birchwood hotel in St. Petersburg, I mentioned that I’d discuss why I love that city so much. Well, that’s what I’m going to do now – just for the record this is a unanimous opinion in our family – we all love ‘the Burg’ . Let’s start with that rather confusing name – the popular story is that it was bestowed upon the city by a homesick Russian. This is only part of the legend – the two founders of St. Petersburg were John C. Williams from Detroit and Peter Demens from the other St. Petersburg. The former bought the land while the latter brought the railroad industry to the area. With that cleared up, let’s learn a bit more about the place. 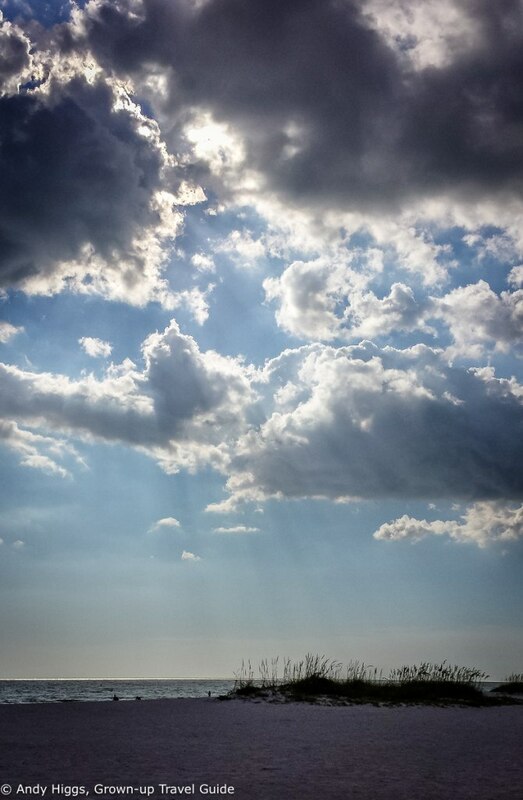 St. Petersburg holds the world record for the number of consecutive days of sunshine – a staggering 768 which lasted from 1967-1969. The average is an equally amazing 361 per year, so as you can imagine the city attracts its share of ‘snowbirds’ – Americans moving south to escape cold winters (or indeed any kind of winter). 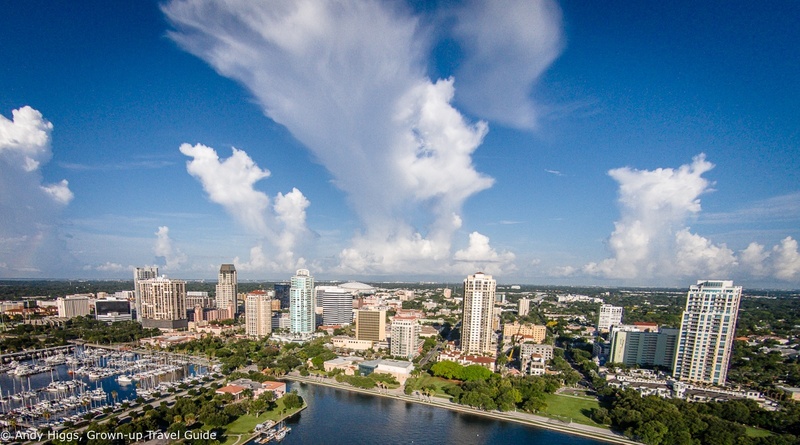 Like Miami on the other side of Florida, St. Petersburg used to be dominated by the over 50s but this is changing rapidly due to efforts to lure a younger crowd. It still lags behind Miami but is catching up quickly and visiting now gives you a chance to enjoy its attractions before the word really gets out. 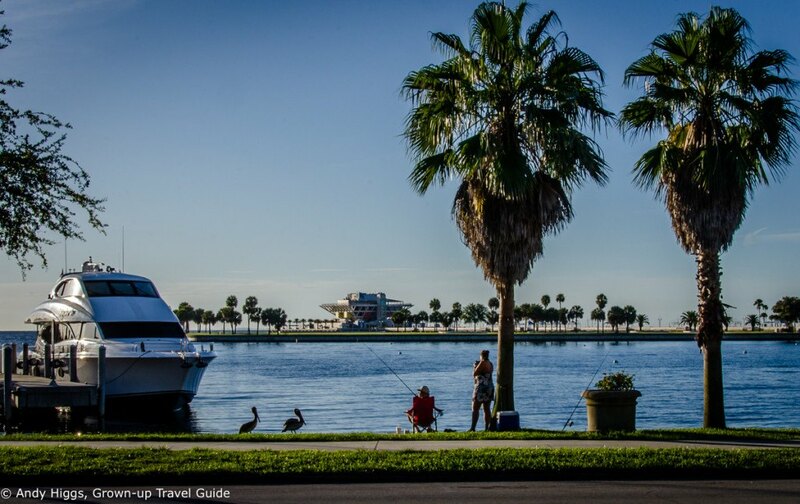 With a population of around 250,000 – a little less than Tampa on the other side of the bay. 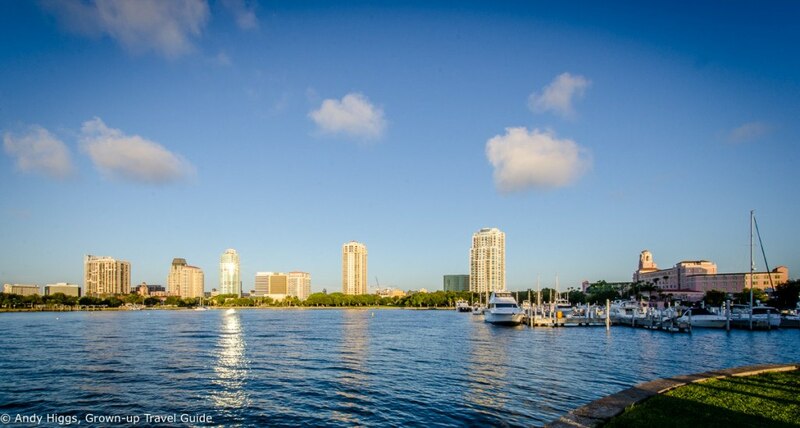 The main downtown area is where most hotels and sights are located and runs alongside the waterfront with its large marina and long pier. The characteristic ‘upturned pyramid’ building on the pier is now history, having been closed and then demolished this year to make way for a new development, now expected to open in 2017. Do you fancy an aerial video shot by myself and Dennis the Drone on his first ever trip abroad? Alrighty then! If its sandy beaches you’re after you’ll be glad to have a car – although there is a bus service in operation – as these are found about 16km to the west of the downtown area. More on these shortly. As incongruous as the city’s name may be, that’s nothing compared to the fact that it is also home to a museum containing the biggest collection of works by Salvador Dali. As you might expect, there’s an interesting story behind this, too. In the 1940s an American couple, Reynolds Morse and his wife Eleanor became friends with Dali when he was living in the States and bought a large number of his works. 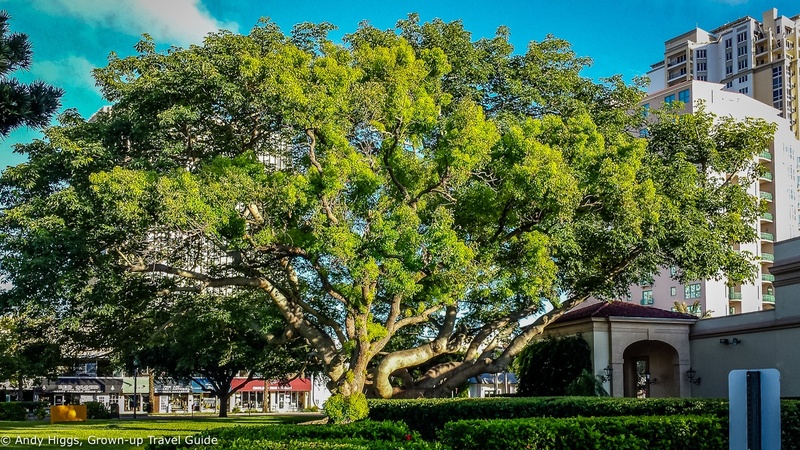 In the end the collection outgrew their property and some rather savvy community leaders from St. Petersburg convinced them that the Florida city would make the perfect home. There are more artworks in Dali’s own gallery in Figueres in Catalonia, Spain but this is a completely different experience. In Figueres visitors are treated to a theatrical display designed by the man himself whereas the 96 items on display here are in a traditional museum setting. Anyone with even a passing interest in Dali should try to visit both – I have now done so and in many ways the St. Petersburg museum is the more satisfying. I’m fairly sure Salvador Dali himself would have approved of the ‘bug-eye’ style of architecture. The building itself is beautiful and the collection is arranged in chronological order. I recommend borrowing an audio guide to get the most out of your visit (these are free of charge) and taking your time; it’s quite an overwhelming experience. 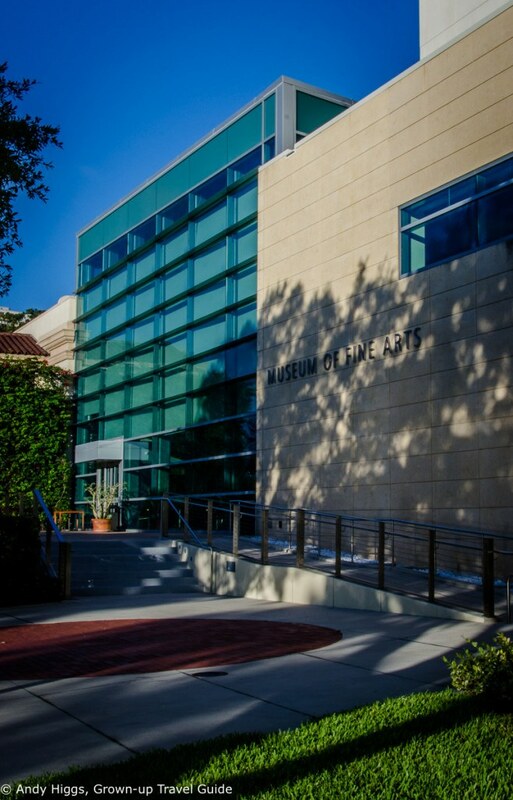 A few blocks from the Dali Museum is the Museum of Fine Arts. If you plan to get the most of your visit you will also need to set aside enough time – there are over 18,000 works in the collection. 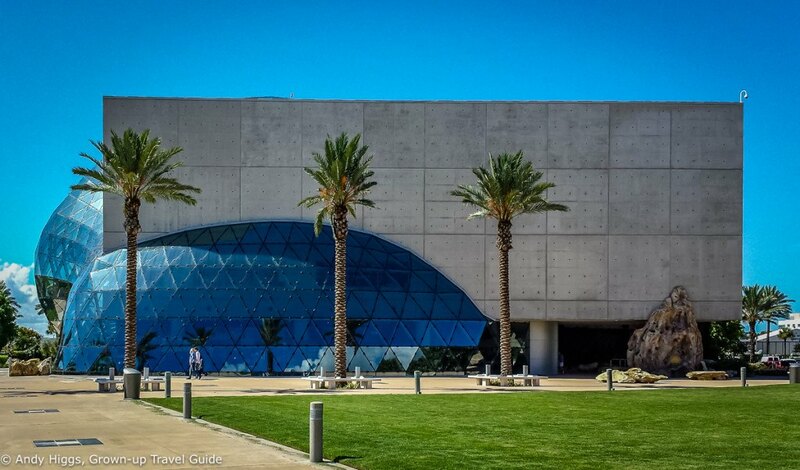 It first opened its doors in 1965 and contains 26 galleries covering the range from antiquities to modern art. The Impressionism section is perhaps the highlight but the American contemporary gallery shouldn’t be missed either. Just a few minutes walk further north brings you to another pride of St. Petersburg. Opened it 2011, this is the largest permanent collection of work by the American glass artist Dale Chihuly and it’s an unforgettable experience. Visits begin with a fifteen minute film about the artist and then a guided tour through the galleries. It’s not huge – the tour only lasts 30 minutes – but it’s really something. It’s best to visit without any prior knowledge or expectations for the true ‘wow’ factor to hit hardest, but everyone we talked to loved it no matter how much or how little they knew of Mr C.
Walk a little further up the road and then cross at the junction towards the waterfront again. You’ll then be outside the magnificent Vinoy Renaissance Hotel. 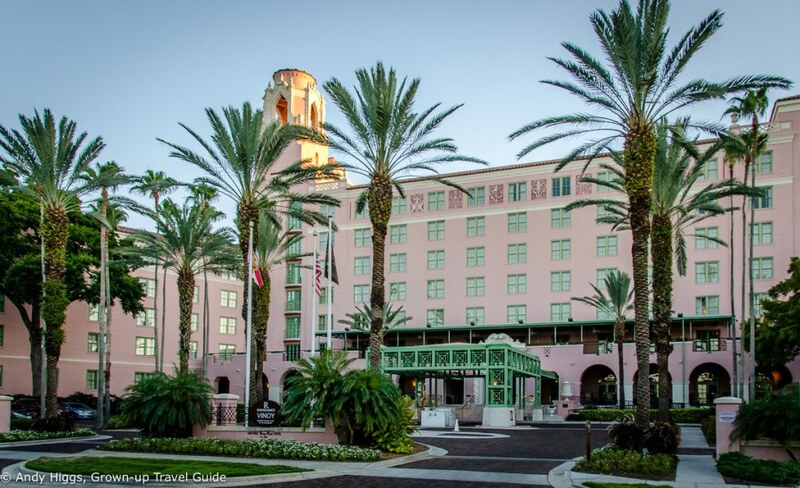 This pink palace began life in 1925 as the address of choice for the rich and famous when in St. Petersburg, and it remains one of the city’s most prestigious hotels. It’s out of the price range of most of the rest of us but still worth a look – this picture gives a hint as to the scale of the property so watch the aerial video again to get a better idea. 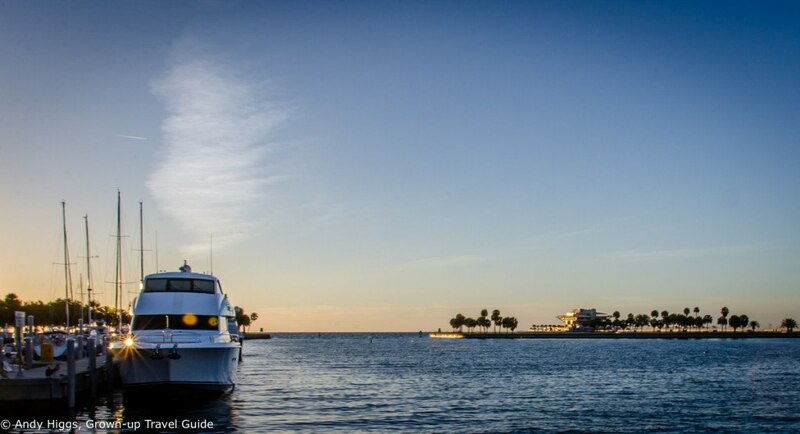 Returning back towards downtown, following the waterfront path gives you a great view of the old pier and marina. 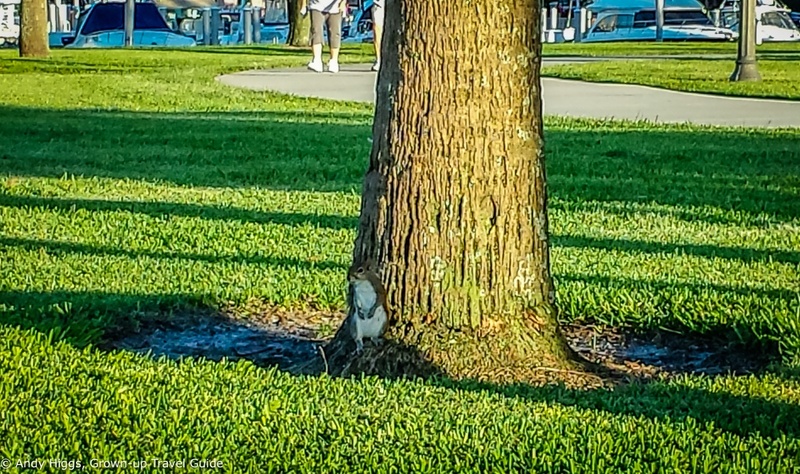 There’s a lot of wildlife in the carefully maintained park areas of downtown St. Petersburg. 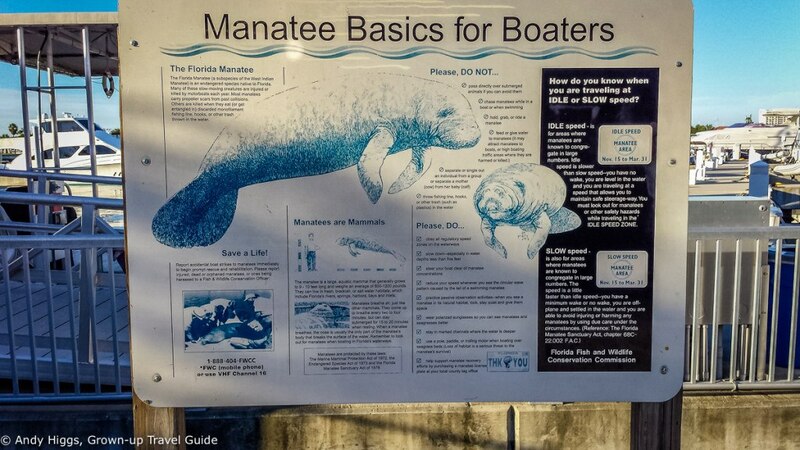 And plenty in the water too, including the protected manatees (although you’ll need a lot of luck to spot one here). 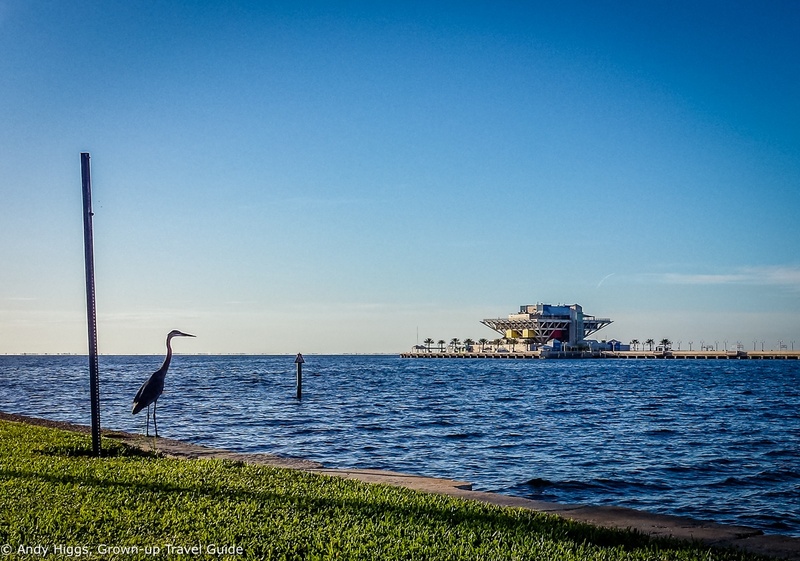 There are 35 miles of barrier islands on the Gulf side of the peninsula which make up the St. Petersburg beaches. The strip is extremely popular and lined with condominium developments, but there is still space for everyone. Each beach is a separate community but it’s hard to see where one ends and the next begins. No matter, the beaches are beautiful, the ocean is warm and given their west-facing situation the sunsets are fabulous. Many visitors stay at one of these resorts but I would definitely urge you to consider being based in the city itself and then exploring from there to get the best of both worlds. 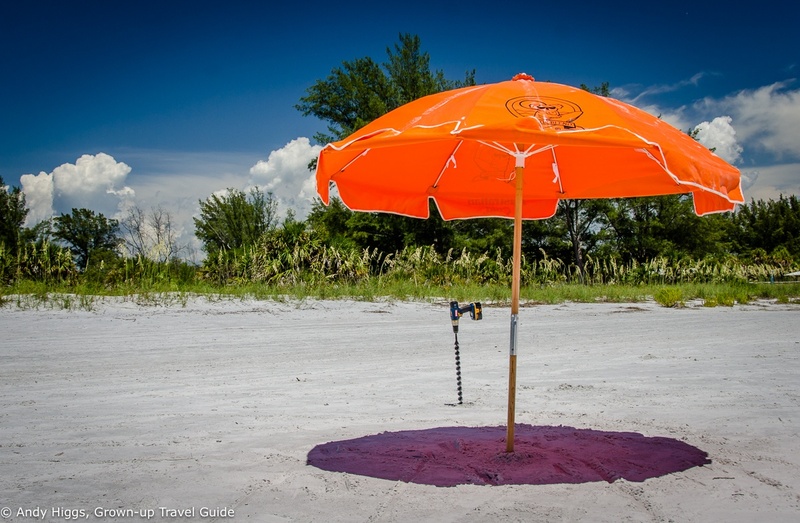 Our favourite (and former winner of the best beach in America) is North Beach in Fort de Soto Park; it’s the furthest point you can drive south on the road and the beaches here are practically undeveloped. 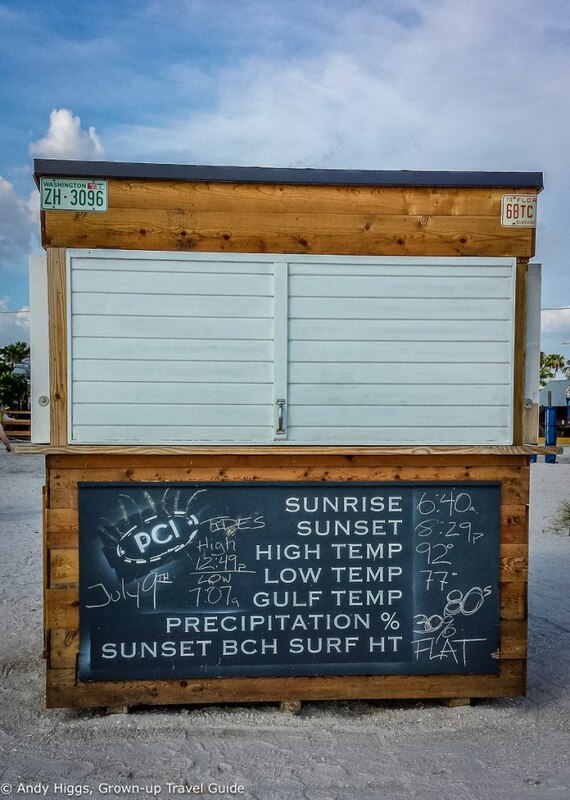 We also visited one of the most famous resort areas, St. Pete Beach. There are plenty of restaurants here, making it a good place to have lunch or just take a break from the heat. Back in St. Petersburg itself, the restaurant scene is gaining a deserved reputation and we ate well each day we were in town. Special mention must be given to the Moon Under Water, a proper British pub run by a Brit offering an excellent range of beers and superb curries. So there you have it – hopefully you understand what why we enjoyed this city as much as we did. In fact we have visited twice now, in both 2013 and 2014 and look forward to returning. 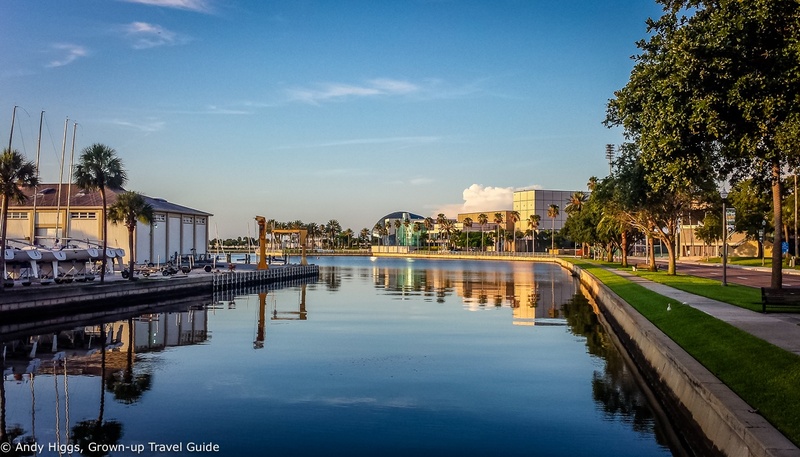 Take our word for it, and check out St. Petersburg for yourself!